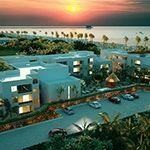 We have created an affordable paradise for people like you who want to sit back, leave the cold behind and enjoy life in a tropical environment. Check out all the amenities we offer to make your life more comfortable. Choose your future dream home at the beach, with 1, 2 or 3 bedrooms. You’ll never get bored! There’s always something to do. Guaranteed fun all year long!